Creating a smooth and polished effect with added natural shine. Whilst drying the hair the heat is equally distributed for fast and effective styling. hairfreé® brushes are unlike any other styling brushes on the market today. hairfreé® brushes are very versatile, in that, no matter your ethnicity or the type of hair you have, be it fine, thick, curly or straight hair hairfreé® brushes work well. hairfreé® brushes can be used as, a regular styling brush or a vent brush. To the best of my knowledge there are no other brushes on the market today that can do that! Used as a regular styling brush the ceramic coated plates are flush with the body of the brush. Used as a vent type brush the ceramic coated plates are positioned away from the body of the brush, about halfway up the length of the bristle. This position creates a “vent” between the plates and the body of the brush. 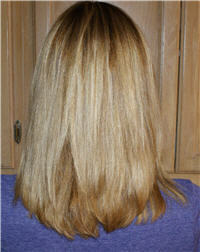 The venting along with the ceramic coated plates speeds up the drying and styling your hair. 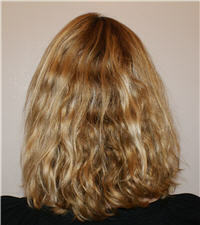 Using hairfreé® as a vent brush also changes the length of the bristle. This in turn allows the user to either create a larger curl or add more fluff to ones hair. In addition to being versatilehairfreé® is a very hygienic free hair brush! Hence the name: hairfreé® . Since hairfreé® is so easy to clean, after you remove the unwanted hair, you can sanitize hairfreé® by washing it with warm soapy water and then rinsing. Stand hairfreé® on its end and let dry. hairfreé® will never rust. There is no longer any excuse for you to not to clean your hair brush after every use. This insures that hairfreé® will always be hygiene free. Last but not least there are no other hairbrushes on the market that are as versatile and easy to clean and keep clean than hairfreé® !! !